It is well known that Mrs M likes the occasional cream tea, which should, she insists, include clotted cream (as the Executive Chef of the Al Bustan in Muscat knows well). Expectations were high at the Olde Smokehouse. 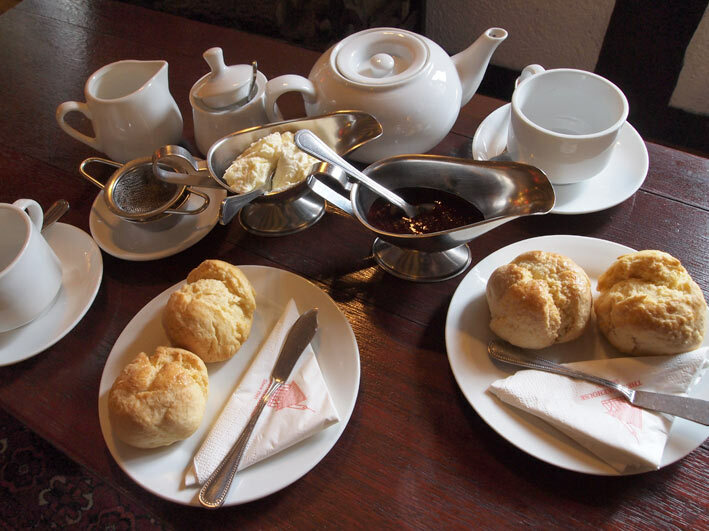 Although the tea included whipped cream and over-crumbly scones, the homemade jam and excellent tea saved the day. My contribution was that there was not enough tea – but there never is.